Samuel Adams Nitro Coffee Stout - AoM: Beer et al. 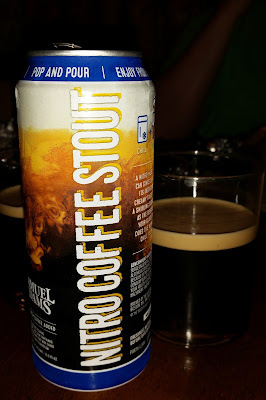 The beer has a strong coffee smell with a creamy taste. The initial taste was better than the final sips which were more bitter. The final sips also tasted less like coffee and the mouthfeel was more watery.